Hand creams are a must have for me in winters! I need them every now and then to soothe my dry hands and I always keep one hand cream in my bag, one on my bathroom shelf, and on my bedside desk so that I don’t need to reach out to a single hand cream everywhere. So, in total I’m using 3 hand creams at the moment, reviews will be up soon! 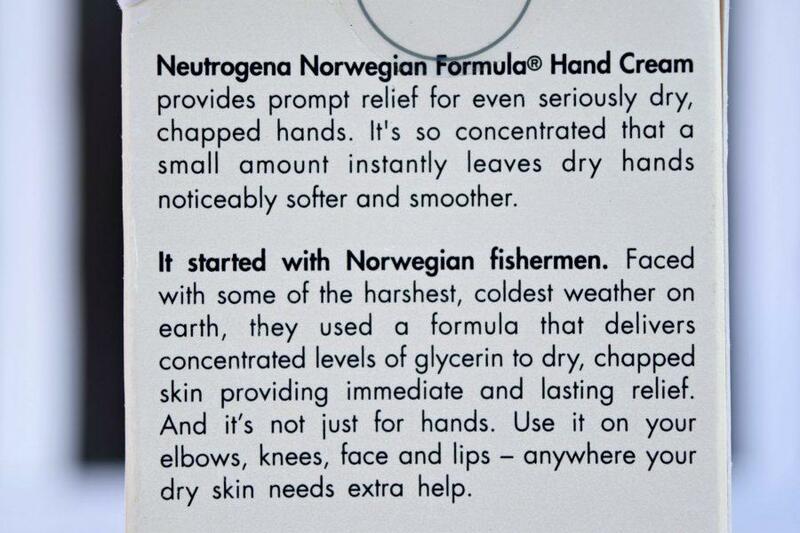 Neutrogena Hand Cream came as a rescue for my dry hands in winters. 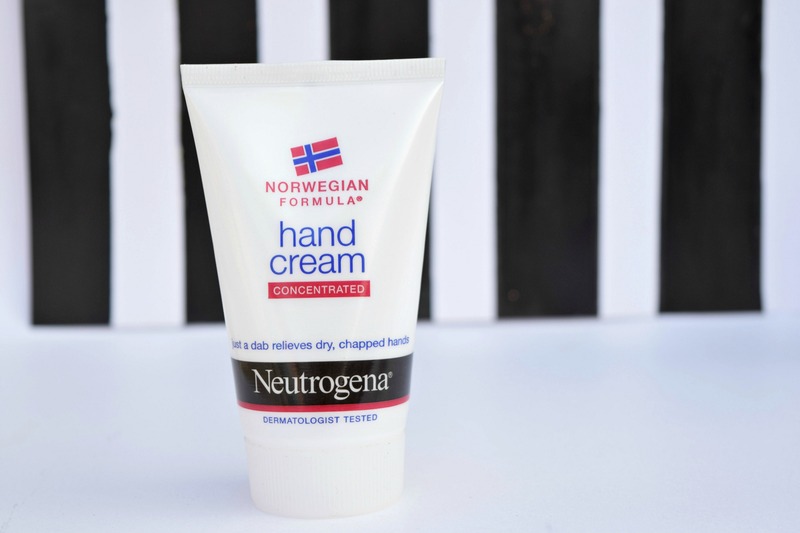 Neutrogena hand cream is quite thick, just like vaseline with a thicker texture, it takes 30 seconds to rub and sink into skin leaving hands moisturized and soft. It does not leave that sticky residue like most hand creams which makes hands slippery after application, it sinks deep into the skin leaving only a veil of moisturization on hands. It says that it’s just not for hands and can be used on elbows, knees, face and lips and I must say that it really works great as a multi-purpose product, it’s like a multi-purpose ointment which works as a hydrating treatment for lips, elbows, knees, face and for any dry areas. If used regularly twice or thrice a day, it works great in healing dry, chapped hands and for lips too- it works amazing! As I have a habit of losing my lip balm, I just use this hand cream on my lips as well to soothe my chapped, dry lips and it works great in healing them. And only a tiny bit is needed for both hands but I doubt that it won’t last that long as the tube is quite small, just as the size of a palm and with frequent application of a hand cream, it won’t be able to last more than a month! With that being said, the other downside of this hand cream is that it may not be able to heal extremely dry, chapped hands. What a co-incidence, I bought this cream Yesterday only. Now, after reading your review I can 100% trust its efficacy ! Hehe ya the tube is quite small. Totally!! I love a lot of hand creams. I too love that hand cream but do try this out cream as well. I had no idea Neutrogena had this in their range…will give it a try soon…Lovely Review dear! 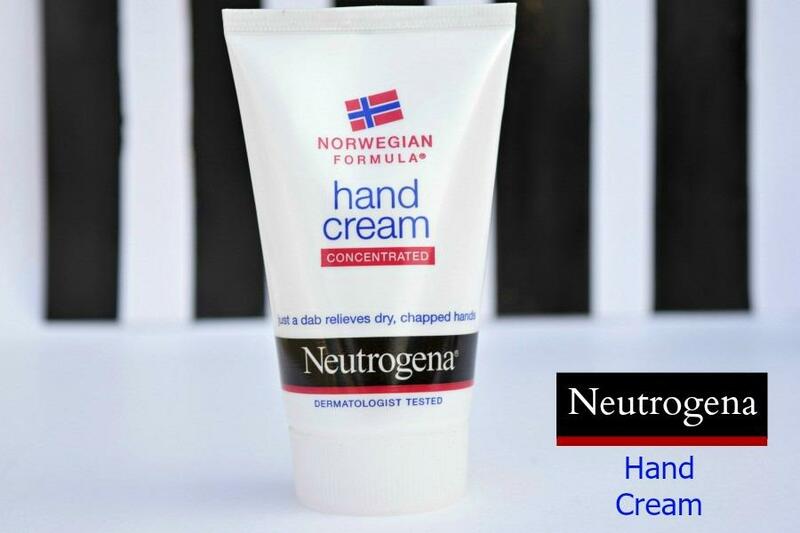 Thanks Richa, yeah Neutrogena have 1-2 variants of hand creams in their range. Yeah they have hand creams in their range! And it works as a multi-purpose ointment. I am using this currently and I like it too but not impressed with the price tag and the slippery texture while washing hands even after an hour of application. Yup the price is a bit high for the quantity but I don’t get that slippery feeling from it! Great that it can also be used as a lip balm!! Yup can be used as a lip balm as well. Glad I could be of help Lia. Looks a decent option for its price..